Vaping has been around for only a decade or so, and it’s a rather new technology and going through some basic info may come in handy. Gone are the days when you’d get some cheap gas station cig-a-likes or the vape pens. 1 Is vaping really that practical? 2 What is freebase nicotine? 3 What are nicotine salts? Why use them? 4 Why use the nicotine salts? 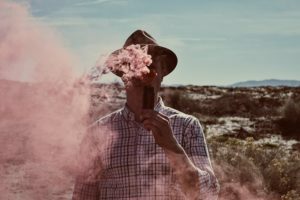 6 Should you go with nicotine salts? Is vaping really that practical? Bigger isn’t always better is one principle that describes vaping in the most accurate way. Even though most of the vapers out there fancy a nice flavor or cloud production of high VG e-juice in a sub-ohm tank, some of the nicotine fans the VG-based e-liquids is flashy and pricey, and almost useless. The answer to the dilemma comes from the nicotine salts that are able to solve the problem of most vapers out there. There’s a big difference between the traditional “freebase” nicotine that are used in the e-liquids and the typical “salts” that have been on the market for a while now. Not only that they’re part of different categories, but that also give a different kind of experience. Let’s take a look at the freebase nicotine first, so that we get to understand the nicotine salts. Leaving the technical info aside, let’s pinpoint that the freebase is in fact the purest form of nicotine. It’s also default “go-to” for many manufacturers out there. The nicotine solution is practically added to the mixture of propylene glycol (PG) and the vegetable glycerin (VG), which are going to transport the nicotine during vaping. It’s also used when we’re trying some nicotine replacement therapies (patches, sprays, gums and lozenges). In addition, freebase was the main norm in cigarettes for years now and we have to thank Philip Morris for that. He’s the one that discovered that “freebasing” nicotine-paired with ammonia actually release a higher amount of nicotine (and this is why we get so hooked). As we’re trying to create an efficient nicotine replacement in vape juices, it goes without saying that using the best form out there is the best solution. What are nicotine salts? Why use them? We think that is all clear for everyone that freebase-nicotine is actually purest nicotine. If so, why would any vaper go with something that isn’t efficient at all? Let’s go back to the chemistry class. Nicotine salts are made of the same nicotine that is found in a natural form within the tobacco leaf. In order to vape it, we’d need to use extremely high temperatures when adding this form of nicotine to our vaping liquid. However, it still wouldn’t be easily absorbed. Not as easy as freebase nicotine, anyway. Salts need some sort of changes in order to deliver and it’s the benzoic acid that makes all the difference. Without going through the details too deeply, here are two elements to remember: pH and alkalinity. Freebase nicotine present a higher pH and that also means higher alkalinity. The high alkalinity leads to a harsh throat-hit, which is why the people are going to have to vape at smaller amounts than they really need. However, benzoic acid has quite the opposite effect as it’s able to reduce the pH levels in nicotine and alkalinity altogether. The final result is going to be a smoother vaping experience. On top of everything else, the mixture is going to be vaped at lower temperatures in affordable vape pens with a higher concentration of nicotine. Let’s take the vape juices combined with nicotine salts; even though they’re less powerful, they can actually accomplish nicotine levels as high as 50mg. Why use the nicotine salts? Nicotine salts are actually one of the most efficient ways to use when trying to quit smoking. As they come with a higher nicotine concentration, nicotine salts offer a similar experience to smoking, so they do lower the need for a smoke. 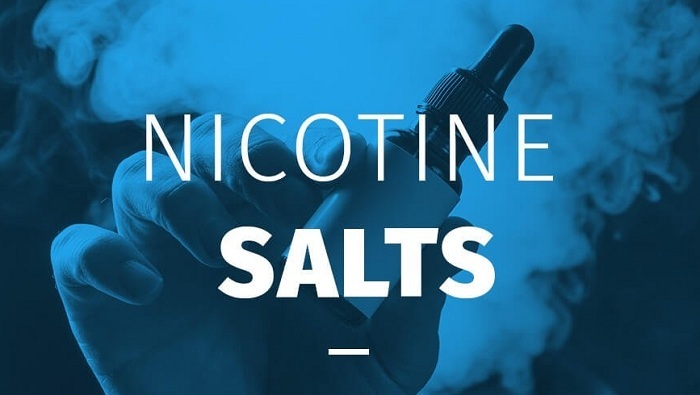 You should take a look at the nicotine salts also because they’re created for use in lower wattage and smaller devices (there are many options out there). Therefore, they’re highly portable and they satisfy your craving in smaller, yet more concentrated doses. The nicotine hit is smoother when using the nicotine salts. Suffice to say, many smokers that are considering vaping feel that the-liquids are too harsh, blaming the nicotine for that feel. It’s quite common for the cigarette companies to hide the harshness with menthol or eugenol. Vape juices don’t contain any of that and that’s why the nicotine salt liquids provide a smoother vaping. This may be a seal dealer for many: the lower price. We all know that a good sub-ohm tank or a box mod doesn’t come cheap and that’s also the case for the e-liquids that go into the vape pen. Subtle, smoother and cheaper, the nicotine salts come in a great variety of flavors and you should go online to see what’s out there. A good example of such shop is Flawlessvapeshop. FlawlessVapeShop is an online store that offers wide range of e-liquid and vaping products. 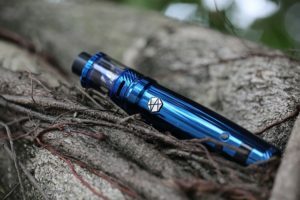 They sell mods, starter kits, coils, atomizers, accessories and so much more at very reasonable prices, and now you can benefit from these flawless vape shop coupon codes and deals. A heavy smoker is going to need an important does of nicotine, whereas 3-12mg nicotine is going to be enough for the occasional smoker. This is also the main downside of the sub-ohm devices. 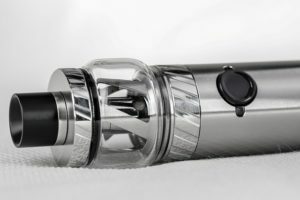 This is why people may actually use smooth and high-VG e-juices in the sub-ohm tank, for a pleasant experience. Some think that nicotine salts present some limitations as they force you to use the vape pens or pods. By contrary, you’re going to be able to use endless tank/mod combinations when going with the classical mods and sub-ohm tanks. in addition, the coil combinations and styles that an advanced atomizer are more impressive. It goes without saying the freebase juices are more about the fashion and less about the function. On the other hand, the nicotine salts are the ideal solution when you need a powerful dose of nicotine and don’t mind a cigarette-like experience. Should you go with nicotine salts? Are you a heavy smoker (more than 1 pack a day)? Would you like smooth vapor and high nicotine? Do you need an authentic smoking experience? Are you interested in trying something new? How much are you willing to pay upfront? Do you like to be subtle when smoking or you fancy a big cloud? Do you need a subtle or a powerful nicotine buzz? It’s better to play it safe and to start off with a smaller device, using some nicotine salts. If it’s not working for you, there’s no reason to keep on trying it. 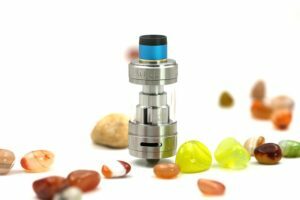 You can always try the high-VG/lower nicotine sub-ohm setup and do due diligence about it. Salt or no salt, it’s wiser to go through the basics with a simple vaporizer before stepping up your game with the tanks, coils and everything else. Have a chat with a vape shop owner that is willing to give you all the info you need. After all, he/she is a vaper now, but he/she definitely was a smoker some time ago. « Free vs Paid VPN: Which one is best for you?